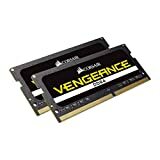 Jan 10, 2017: Memory compatibility question. Dec 20, 2018: What's better for recording audio in Logic Pro X with big audio samples, a 3.5 GHz 6-core CPU Mac Pro, or a 3.0 GHz 8-core CPU Mac Pro? Jan 14, 2019: My updated home setup, specs in the comments. Feb 24, 2019: Would This RAM Work In My Laptop? Mar 19, 2019: Looking to buy a new system. Could use some ideas and have some questions.